Maintaining vitamin D levels could help to prevent the onset of inflammatory diseases such as rheumatoid arthritis, researchers say. But a study led by researchers at the University of Birmingham also found vitamin D is less effective once inflammatory disease has set in, because of increased insensitivity to the vitamin. Researchers concluded that if vitamin D is to be prescribed to patients with rheumatoid arthritis, they may need higher doses or treatment to correct the insensitivity of immune cells in the joint. 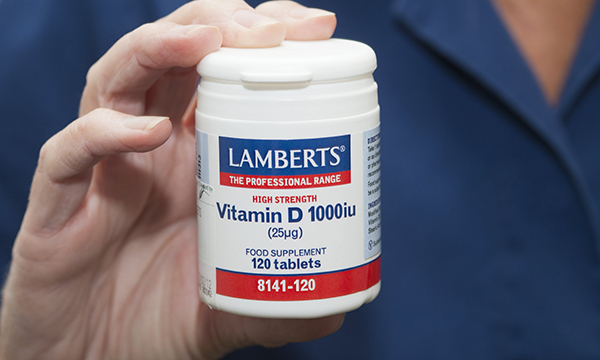 People with rheumatoid arthritis are frequently deficient in vitamin D.
The study is the first of its kind to characterise the effects of vitamin D in both peripheral blood and inflamed joints of patients with inflammatory disease. Researchers found the effects of vitamin D on inflammatory disease cannot be predicted using cells from healthy individuals, or even from the blood of patients with inflammation, as cells from the disease tissue are very different. What really goes on ‘Behind the Smile’ of your patients living with RA?